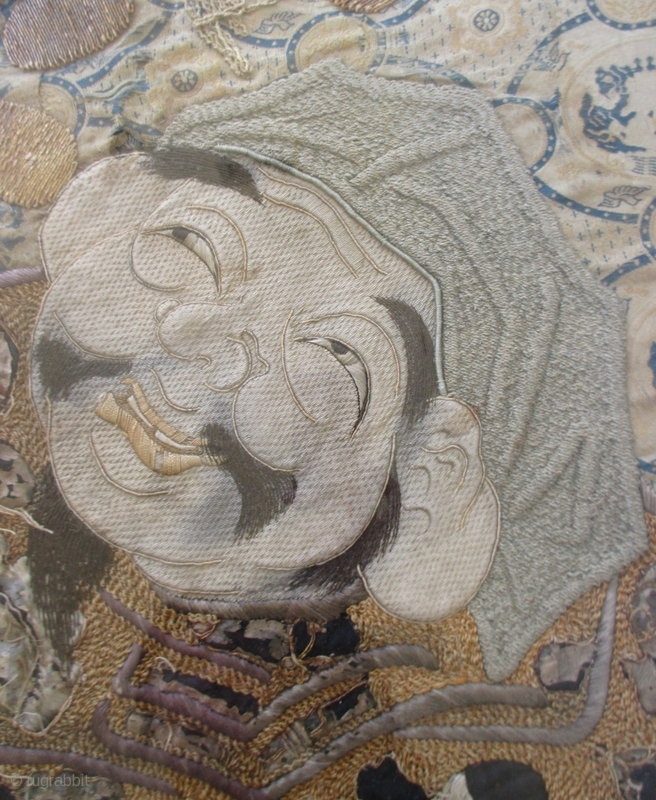 Amazingly beautiful antique Japanese textile in a black wooden frame, with a background of ivory-colored cloth with light blue and yellow sewn birds and cloud-like designs within circular patterns. 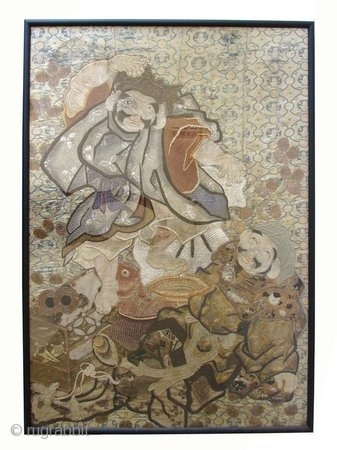 The two Japanese gods Daikoku, god of prosperity and darkness, and Ebisu, god of fishermen and luck, are shown sharing a bowl of sake. 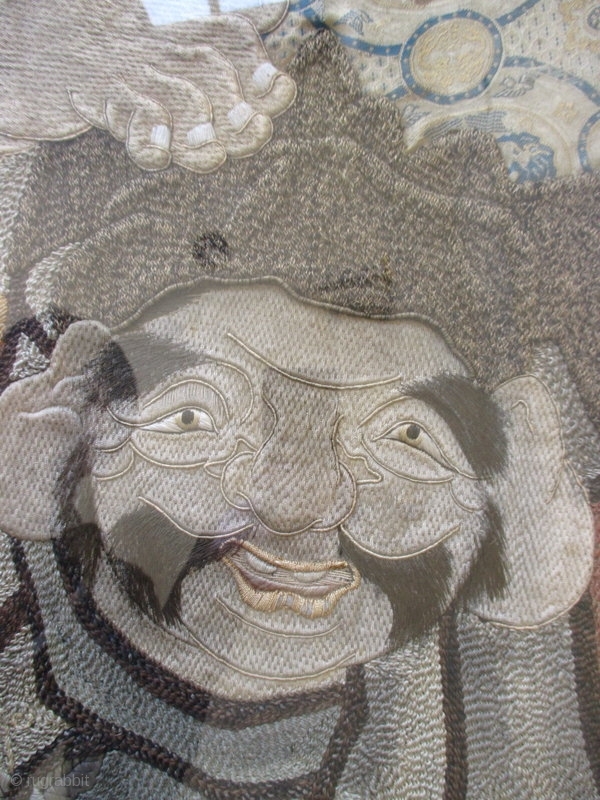 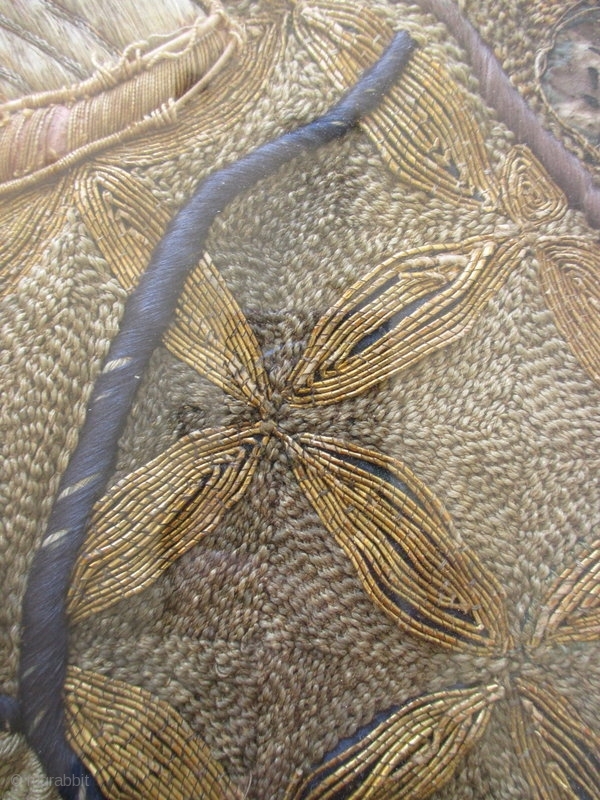 Daikoku is shown dancing merrily upon his sack of rice with thick, woven threads of red, greens, grays, and golds making up his clothing, with thinner black threads expertly sewn in a wispy fashion as his facial hair. 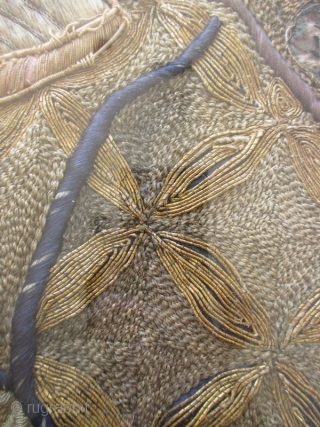 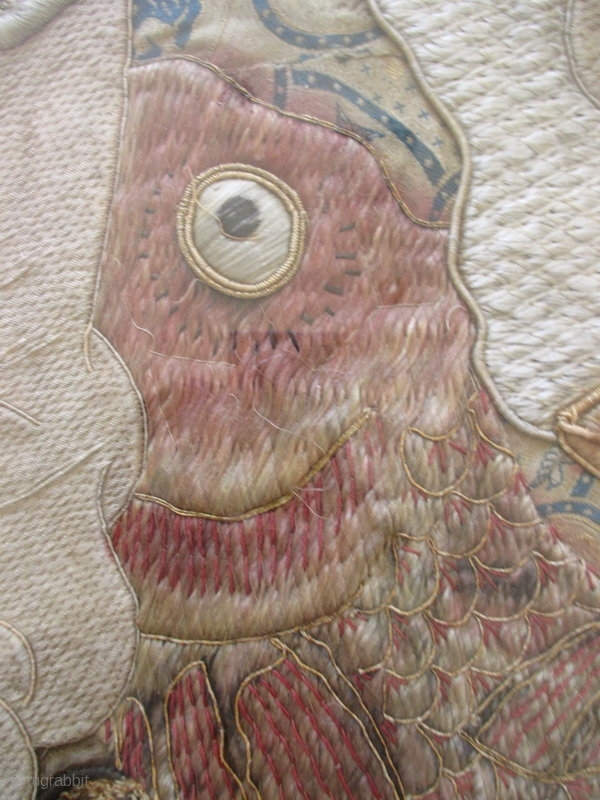 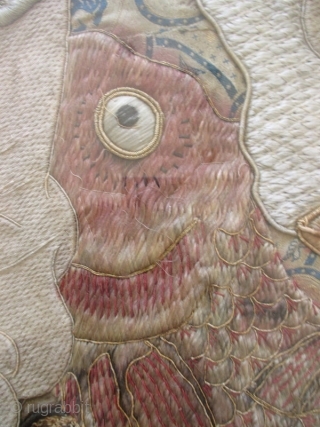 Ebisu gazes up at his friend in amusement, his cloth adorned with gold threaded flowers and interesting sewn designs on the cloth draped around his shoulders. 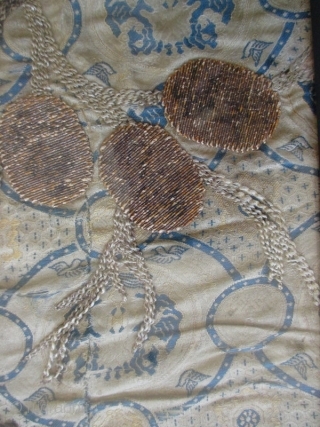 Sitting next to the pair are various trinkets lining a small shelf, a lucky woven talisman with tassels, and a large fish in a bowl, and thick woven branches in hues of beige surround them.